Diane with you today with a beautiful Poppy Edge die. 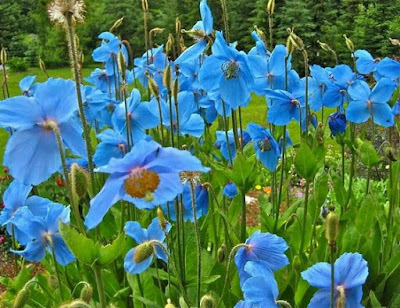 Himalayan Blue Poppy in honor of her trip! so I guess the next best thing is having a Blue Poppy Card! but this time only cutting the flowers. I easily trimmed them to fit over the green base die cut. 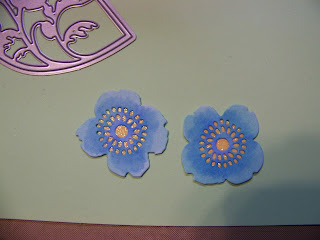 I also punched 2 gold glitter circles to place under the flower heads. the green die cut base, and slightly curled up. and a few sequins were added. 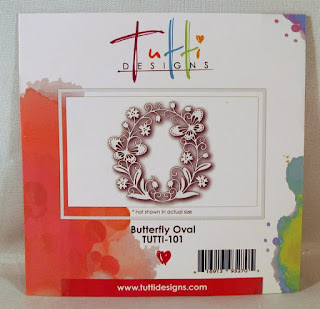 I have used ONE Tutti Designs cutting die..Butterfly Oval. 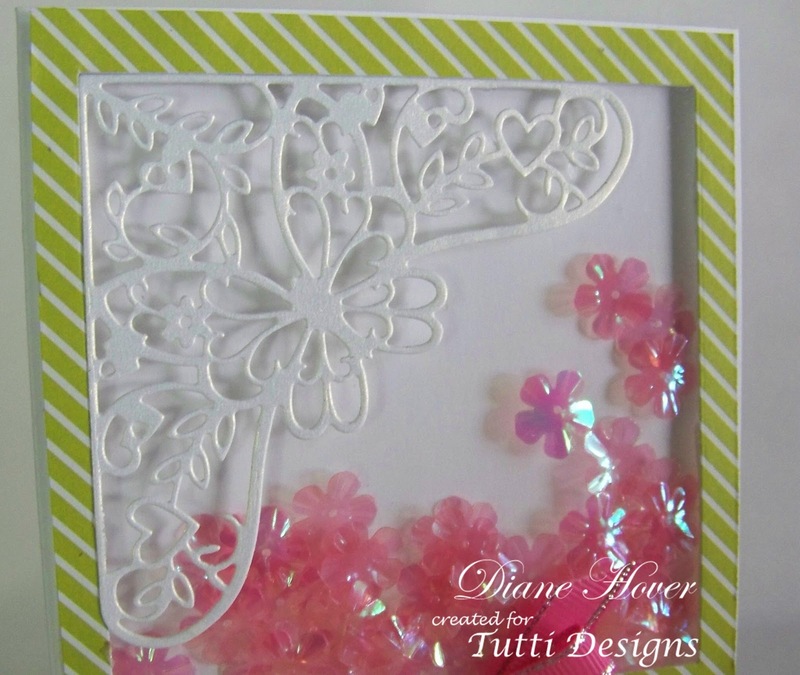 to create this card with one sheet of 8x8 paper! 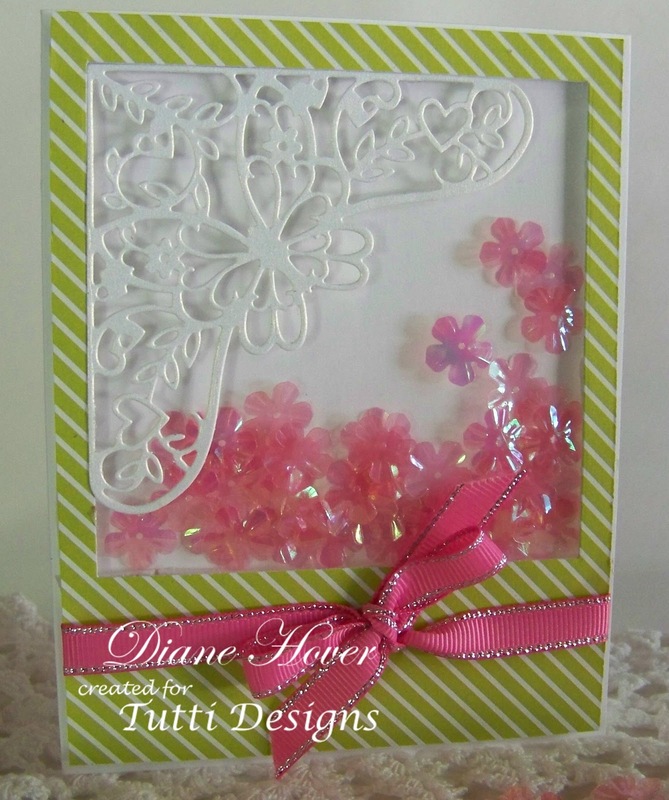 I have die cut this pretty "Butterfly Oval" in white card twice, then just the butterflies in soft pink pearl card, these were layered up onto one oval as shown, after adhered to an oval cut with green paper. 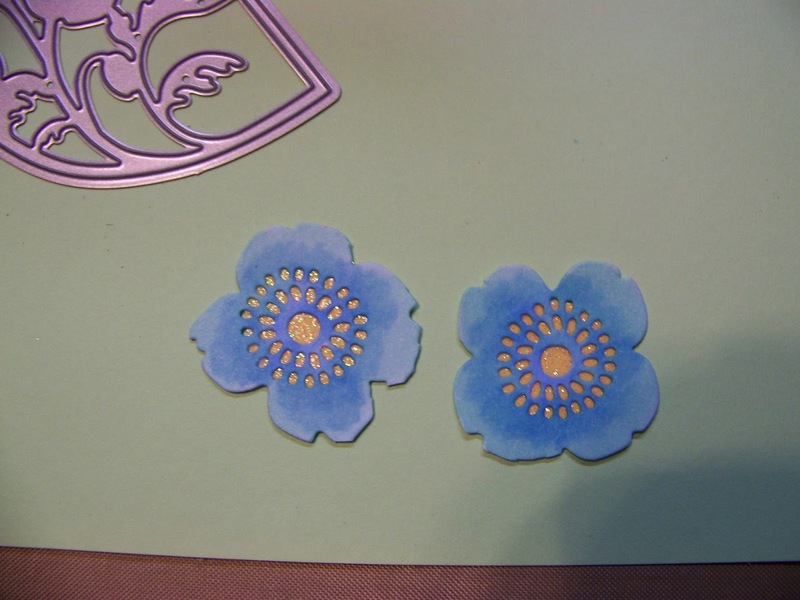 The one remain butterfly oval I coloured with green ink and cut apart to use these on the card and in the floral silk flowers. I used my rotary cutter scallop blade to create these borders, with strips of inked edge paper behind, the centre panel bottom half I dry embossed in a folder. There will be a NEW inspirational sample provided for you EVERY DAY OF THE WEEK on our Tutti Designs Blog. Welcome back bloggers. I will always be posting on Tuesdays and look forward reading your comments. 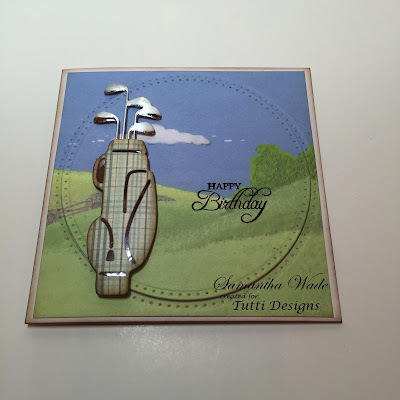 Be sure to check each day to see what our talented Tutti Designers have created for you on the Tutti Designs Blog and see more cards and projects visiting the Tutti Designs Facebook and Tutte Designs Pinterest. 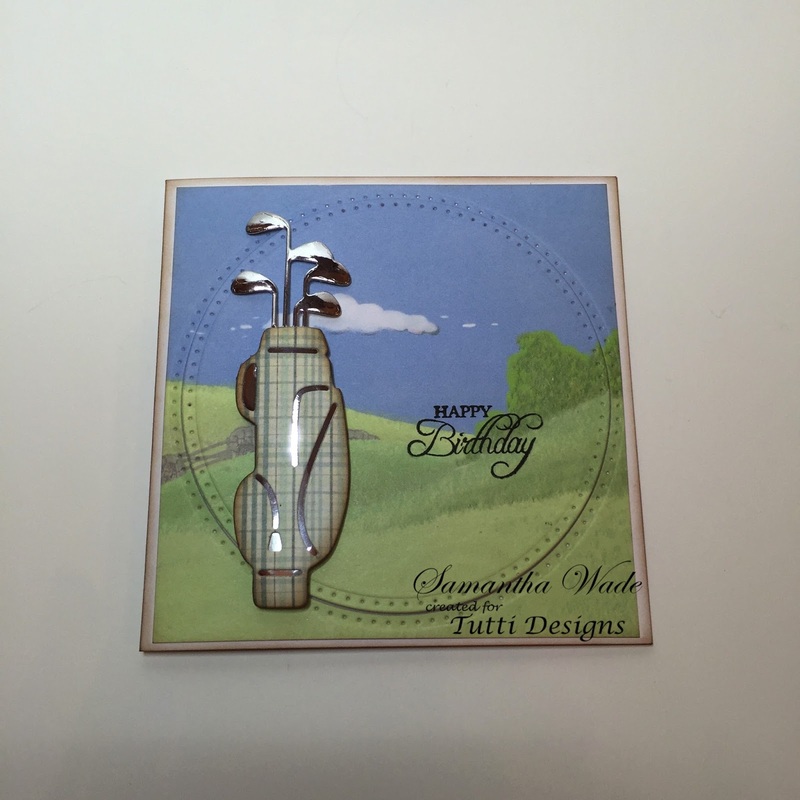 Aren't you loving your new Tutti Designs dies! Aren't they gorgeous. I have the stunning Tutti Designs Butterfly Arch die. I just love the beautiful butterflies in this die. 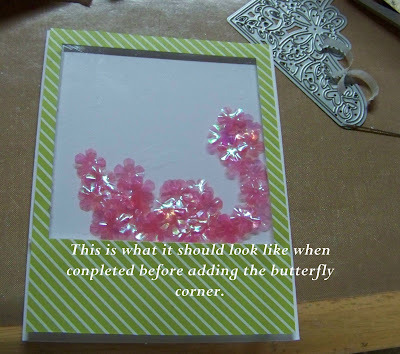 You can cut these butterflies out and use it on your card with the Butterfly Arch die cut or glue it on top of the butterflies to give a 3D look. I cut out two Butterfly Arch die cuts with Crafter's Companion gold/white glimmer card stock and sprayed it with Cosmic Shimmer Vintage Mist Antique Rose. After the ink dried on the die cuts, I bent the tips and used 1/2" wide Scor-Tape to tape the wings on the card. Using the Scor-Tape, I am able to take the die cuts off the tape a few times until I get the position of the wings the way I like it. Also, I arrange the Wild Orchid Craft flowers on this tape and when I get that arrangment the way I like it, then I glue the flowers on the card. I don't have to glue the wings since there is enough glue on the flowers to keep the wings in place and this Scor Tape remains sticking to the wings. I make a hat pin out of jewelry beads and stuck it in the flowers and used some tiny rhinestones for the top of the butterfly. I stamped the sentiment with Versa Mark and then used detail gold embossing powder. 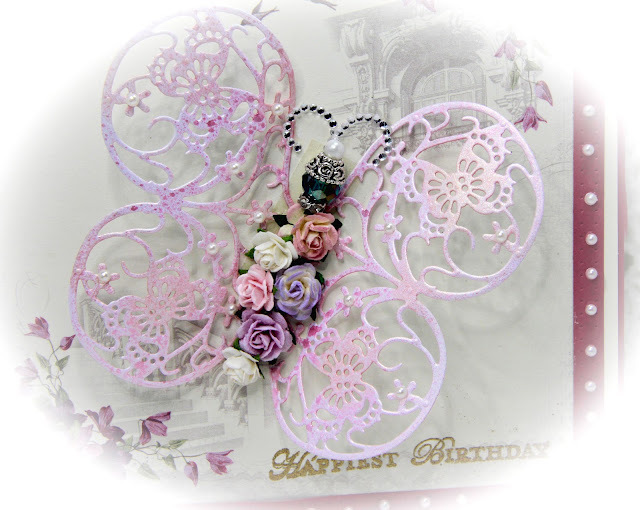 Other supplies: 3mm flat back pearls, Bazzille orchid card stock, Crafter's Companion gold/white glimmer card stock, Stampin Up sentiment, Pion Designs Scent of Lavender cardstock, Wild Orchid Craft Flowers and Cosmic Shimmer Vintage Mist-Antique Rose. It's Monday, so it's Nancy Nickel back to with another Tutti Designs project! 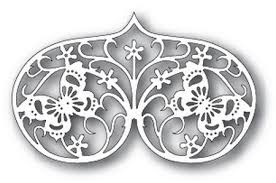 It's such a pretty die, and could be used many ways and for any occasion! Now I have several photos showing you how I put this together. I cut one out of the black print paper, and one out of green gingham paper. I created a peach card base, and centered the black relief on top. One important tip when doing this is to keep all the bits intact after cutting. It makes it much easier when putting it all together again. Using a glue pen, I adhered the green die-cut into place on the card base. Now I fill in all the little bits, again using a glue pen. The card is very pretty just like this. I opted to cut one more layer out of the green gingham. to add some extra dimension to my card. and added them in place. Finally, I added some pearls, a ribbon bow, and a little "For You" tag. I'll be back next week with a new project! NEW RELEASE COMING ... BE SURE TO CHECK IT OUT! 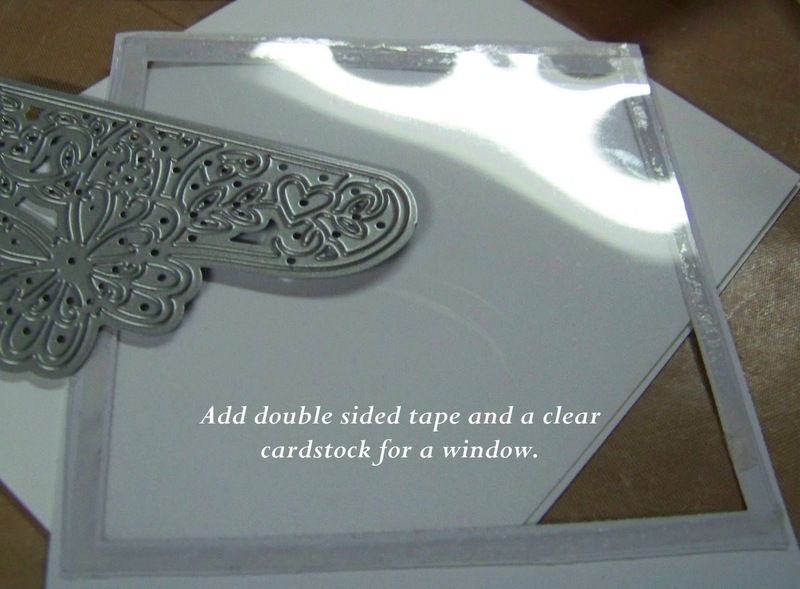 Here are a few tips on how I created my card front panel . . . I cut the original panel from white card stock. Then I decided I wanted to make the focus tea pot pink so cut again from a scrap piece of pink card stock. Then I fussy cut around the pink tea pot and adhered it on top of my white panel. I chose to mat it in black to really make it POP. So, I laid my white panel on a piece of scrap black card stock and fussy cut around the outside edge. TA DA ... now I'm ready to build my card! Another fun thing I decided to do was shape all my matting panels as well as my card base to match my die cut image by rounding all the top corners ... even on the inside! both the positive cut ... and the negative cut outs! No sense in throwing away these perfectly good pieces ... RIGHT!! 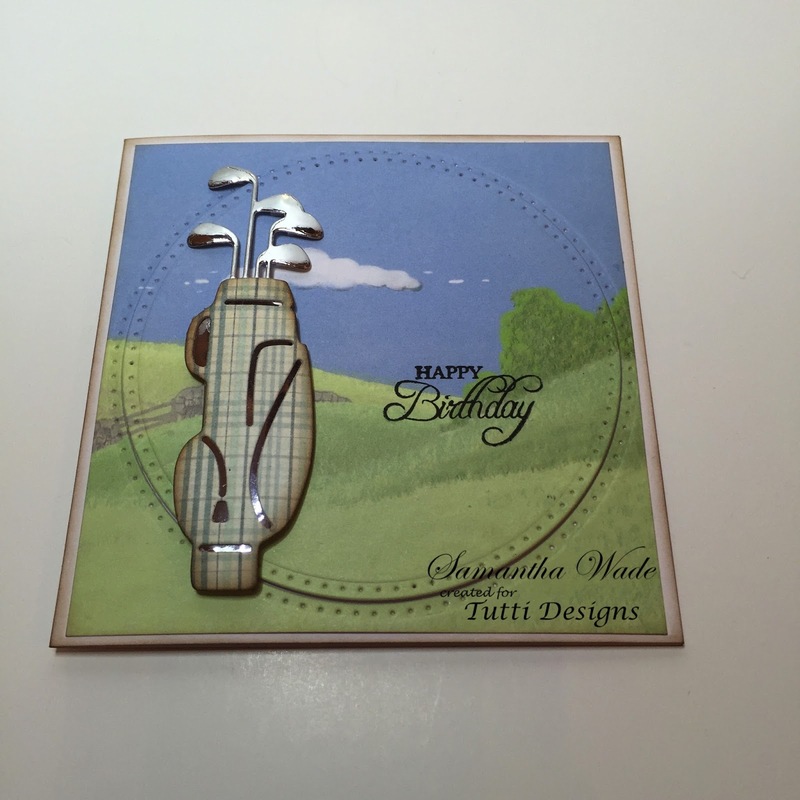 There will be a NEW inspirational sample provided for you EVERY DAY OF THE WEEK on our Tutti Designs Blog. I will be posting a new creation using these fabulous dies each and every SUNDAY! I hope you will pop over to see what this talented group of ladies will have to share with you!! Hi everyone! I hope Father's Day went well for everyone last weekend. I used from Butterfly Scroll from Tutti Designs for this card and paper pieced the different color variations on the vine you see. 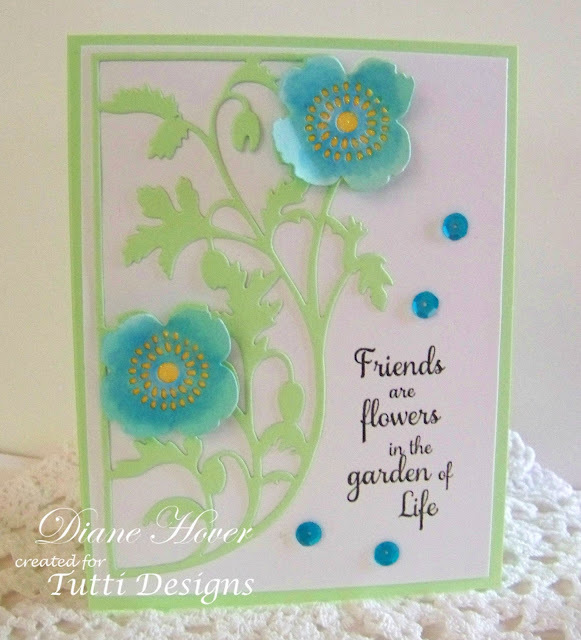 I simply used to die cut piece and used some handmade flowers for the center to bring it all together. 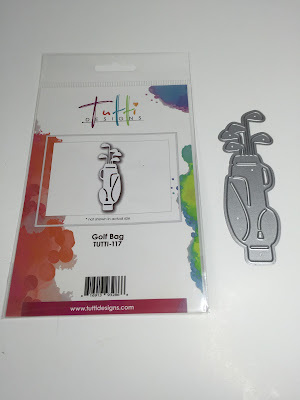 Today is Golf Bag, TUTTI-117. 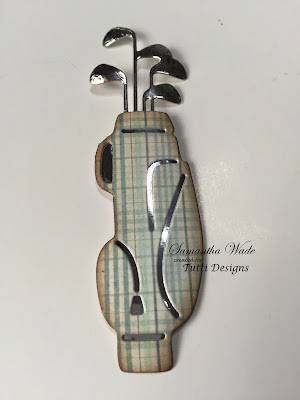 Great Golf bag for men and women golfers. Mens cards are always difficult and i must admit not my favourite cards, so this die makes it easy for you. Cut the die twice, once with silver mirror card and then with the check card which I just cut the clubs off and glued together and then backed with a bit more mirror card to show though the cut outs on the bag. Added shape and dimension with a matt and ball tool. Also a little Distress Ink Vintage Photo to the edges. 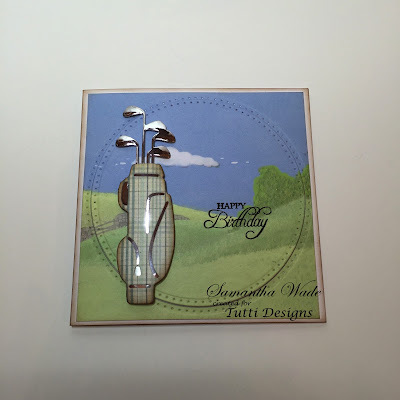 Then with a background I had in my stash, layered up the card and mounted the golf bag on 3D foam onto the card, then added a sentiment to finish. 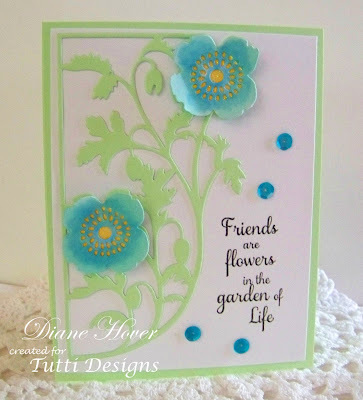 using another fabulous Tutti Designs die. 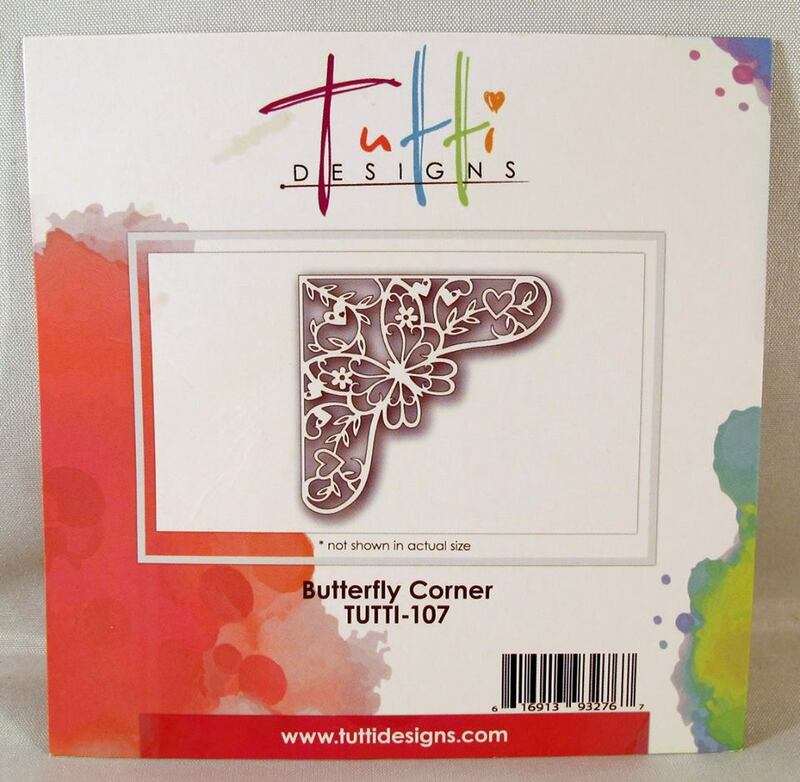 This one is Butterfly Corner. and decided what better way then a shaker card! 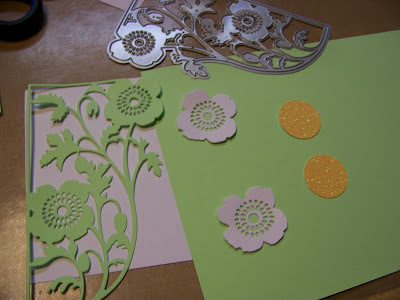 I started by cutting a 3 1/2" x 3 1/2" square from a 4" x 5 1/4"
piece of designer paper (my card is an A2 size). 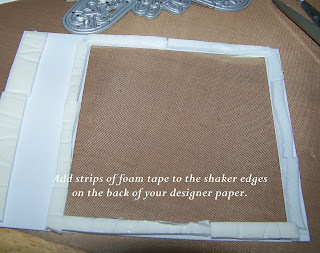 for your shaker (mine is the card base itself). 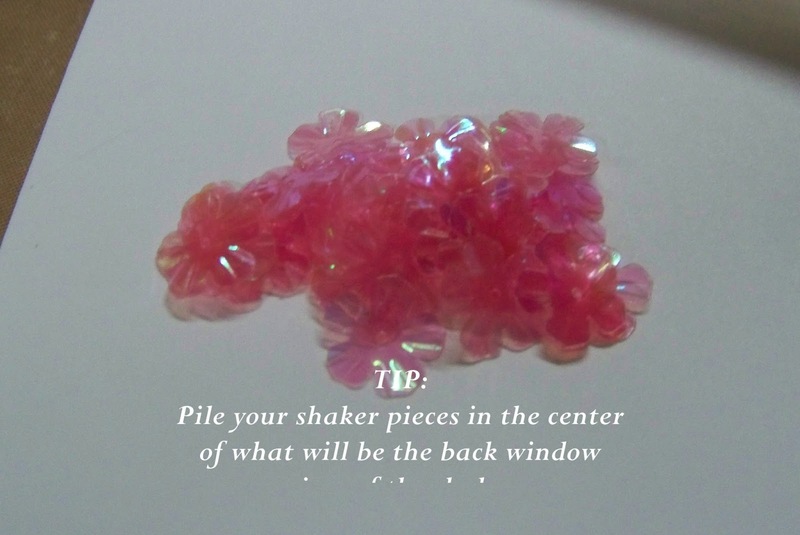 over your 'pile' of shakers. 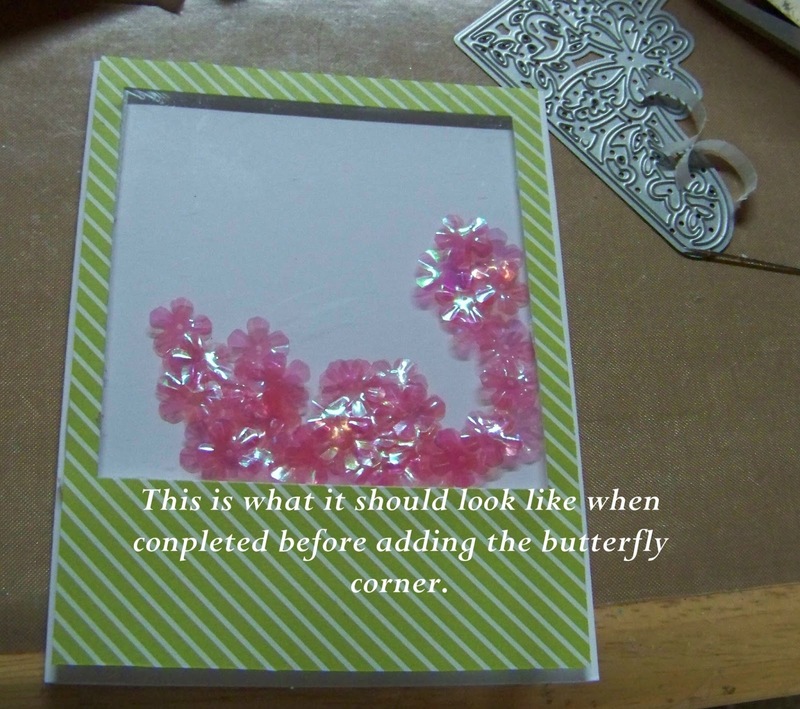 adhere your Butterfly Corner to the top left corner of your shaker. Pretty easy shaker card and also pretty don't you think? I am loving the what I call citrus colors of lime and grapefruit!